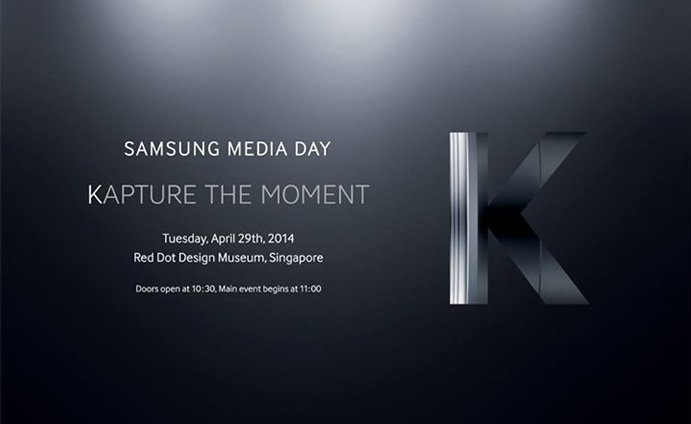 Samsung sent out invitations this morning to select members of the press, inviting them to “Kapture the Moment.” The event is set to take place Tuesday, April 29 at the Red Dot Museum in Singapore. As for what Samsung is going to announce, anytime a company mentions the word “capture” (regardless of how they spell it), it is always a safe bet that photography will be highlighted. CNET speculates that the event will focus around the next rendition of the Galaxy Zoom series, the Galaxy K Zoom. Since my passport needs to be renewed, don’t expect any of the DL team to be present at this Singapore event. However, we will be sure to share any news that comes from it.